Breakfast is charged as a supplement - Full English �9.95 pp, Continental �6.95 pp. 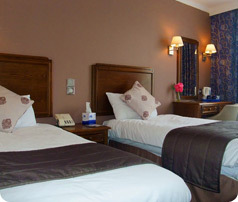 Ramada Crawley Gatwick is conveniently located for business clientele. Easy access to the M23, M25, Gatwick airport and Crawley Town Centre, together with the facilities we offer, makes hosting your conference at the Ramada Crawley Gatwick convenient and worthwhile. Our two meeting rooms, The George Room and The Stuart Room, offer comprehensive facilities for all your conferences, exhibitions, seminars and training sessions. We offer competitive rates for the use of our facilities with The George Room starting at �125 and The Stuart Room at �75. Please contact us for more information on hosting your business event at the Ramada Crawley Gatwick.